- 50 Years Later: Pink Floyd! 50 Years since Dave Gilmour Joined Pink Floyd! In 1968, Pink Floyd changed dramatically when Syd Barrett, the lead vocalist and guitarist left the band. David Gilmour became the new face of Pink Floyd, taking responsibility for the most iconic albums including ‘The Dark Side of the Moon’, and ‘The Wall’. But what happened in 1968 when Barrett left the band? We look at the events, starting from David Gilmour’s invitation to the band until the release of the iconic album: 'The Dark Side of the Moon'. Gilmour and Barrett knew each other well, as they both studied in Cambridge together a decade prior. The two used to perform during their school breaks in front of their peers with guitars and harmonicas. In December 1967, David Gilmour was added as the fifth member of the band. Only five gigs later, Syd Barrett derailed. With rumoured schizophrenia and a heavy reliance on psychedelic drugs, the band argued that Barrett was too difficult to work with. The band were disappointed, and credited Barrett ‘the creative genius of the band’ – “he was our friend, but most of the time we now wanted to strangle him”. The departure of Barrett was announced publicly on 6th April 1968. The adjustment to Syd Barrett’s departure proved difficult to the band, especially with songs that he performed. Initially, Gilmour would mime to Barrett’s vocals on TV appearances – over time they stopped performing Barrett’s songs altogether. Following this, Pink Floyd later went to release their first album with Gilmour as a vocalist, and Roger Waters as the lead songwriter. ‘A Saucerful of Secrets’, was released in June 1968. It continued to spend 11 weeks in the UK charts, however, didn’t receive much positive feedback. NME described one song on the album as: “long and boring, with little to warrant its monotonous direction”. The day after the album was released, the band performed in the first ever free concert in Hyde Park (which became an annual tradition for rock bands in the 60’s and 70’s). In July 1968, Pink Floyd went on their first significant tour in the US. They performed until December, accompanied by Soft Machine and the Who. On their return to the UK, they spent the next two years focusing on songwriting. ‘Ummagumma’ was released in the November of 1969, and the album spent 21 weeks in the UK charts. Meanwhile, Syd Barrett, after being out of the public eye for a year, embarked on his solo career. He released both albums ‘The Madcap Laughs’ and ‘Barrett’ in 1970. Pink Floyd by now was a household name. In 1970, they went on an international tour following the release of “Atom Heart Mother”, it was hugely successful in the UK, and the album reached number one on the charts. Despite this, Waters and Gilmour both disliked the album, calling it “a load of rubbish”. The band returned from the tour in 1971 and begun working on new material. The band recollects that the record label and tour manager were “useless”, and that “Gilmour’s emergence was the real shaping force of the group”. In 1971, the album ‘Meddle’ was released, and to the NME it was “an exceptionally good album” which “Floyd had been striving for”. This is arguably the last ‘Barrett-influenced’ album before ‘The Dark Side of the Moon’, which was released in early 1973. 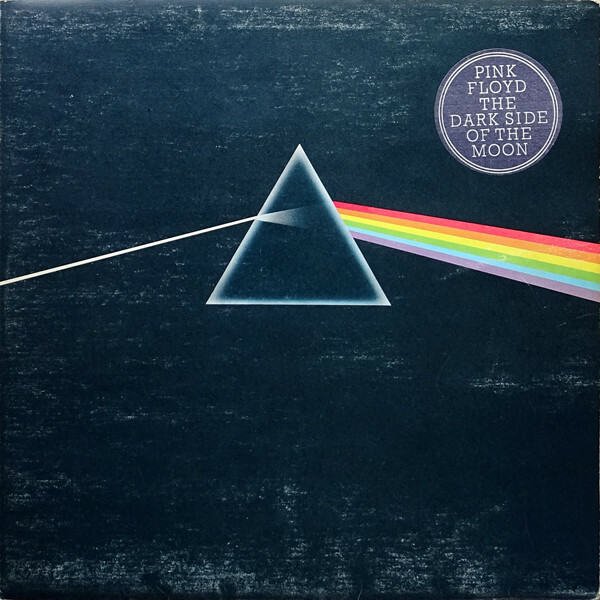 ‘The Dark Side of the Moon’, later went to become one of Pink Floyd’s most iconic albums and became the foundation for one of the most successful bands in the UK of all time. With difficulties associated with Barrett leaving, and scrutiny of their earlier releases, it shows how much will-power the band had to be successful. To celebrate the band after 50 years, we have a wide range of merchandise to choose from. Click here to take a look!